What is the Group Report? 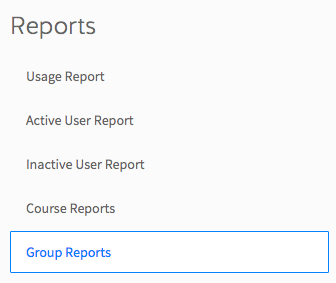 To get to the Group Reports click on the Analyse button on your Dashboard. Then navigate to the report from the menu on the right-hand-side. This report lets you see a series of quick stats about your user groups - Groups, Users Commenced, Average Mark, and Average Time Spent - before drilling down into individual groups and providing the same stats for each of them. 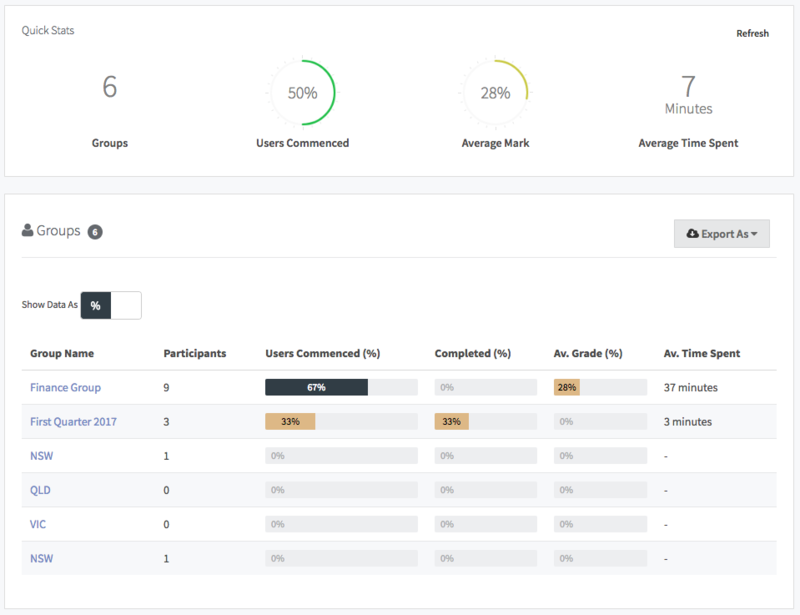 You can click on an individual group name to see what users are enrolled in that group, and specific statistics for each Course that group is taking.